Paul Macklin is a passionate artist, art teacher and creative mentor. In his sixty-three years he has expressed his creativity as poet, musician, potter, painter, actor, graphic designer, creative director, as the founder of Amazing People and as creative mentor to both artists and entrepreneurs. Paul divides his time between his family, farm, painting, Amazing People, art tours and Finding YOUR Way creative transformation workshops and private, creative mentoring. Paul was a guest artist at the 2015 Cairns ARTescape. Paul has been engaged in group and solo exhibitions on the Central Coast NSW. The Camino Way, Paul’s first solo exhibition captured the spirit and journey of the Camino Way. 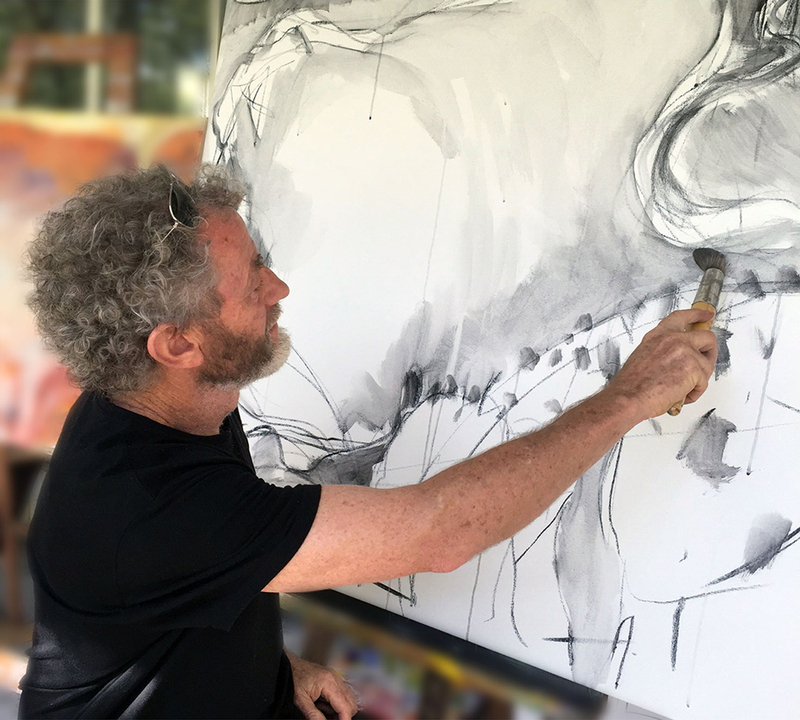 Paul’s art balances traditional elements of draftsmanship, structure and form with the creative interplay of abstraction and expression inspired from landscape, figure and dreams. Paul is a consummate learner and he engages those around him in his passionate exploration of art and life. His great joy is to walk the path of discovery, with no fixed destination, while helping others step more confidently into their own unknown. Paul is equally at home helping students explore traditional principles of draftsmanship, design; form, perspective and colour as he is embarking on more exploratory and expressive creative journeys.